With a white sand beach, lagoon and lush vegetation, this really is the perfect paradise setting, and the relaxed, casual atmosphere of the resort goes even further to encourage guests to unwind. 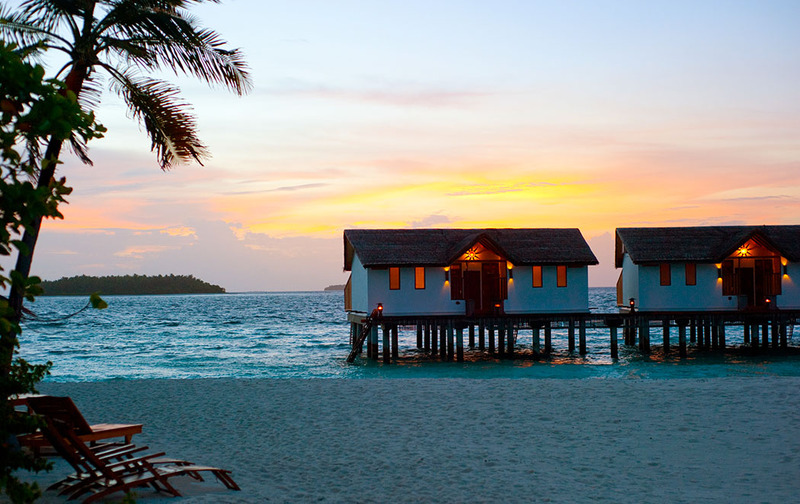 Accommodation is built from natural materials in the traditional Maldivian style, while the various bars and restaurants are designed to make the most of their surroundings, whether that’s the tropical gardens or the soothing waters of the Indian Ocean. The multi-lingual staff are on hand to assist with whatever you may need, from ordering room service to organising excursions. 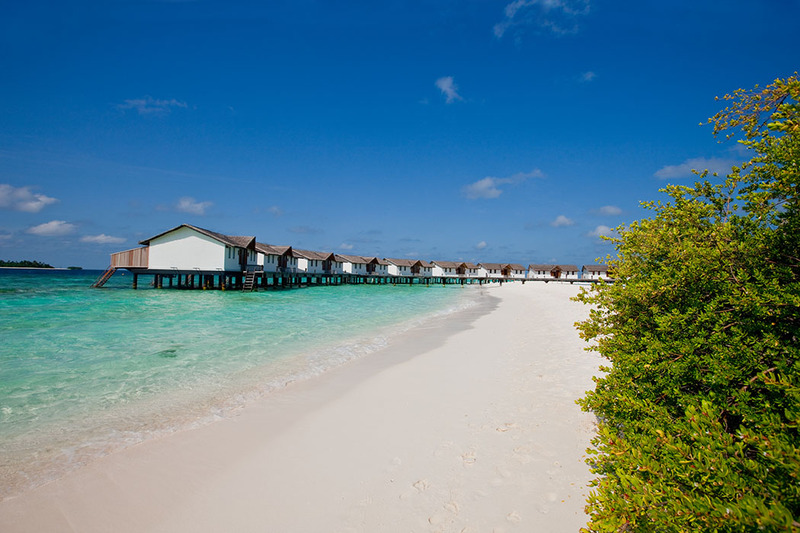 Reethi Beach Resort offers Reethi Villas and Deluxe Villas, located by the beach, and Water Villas, built on stilts out on the lagoon. All villas are comfortably furnished to a high standard with natural wood finishes and either a king sized bed or twin beds. All have air conditioning and ceiling fans, mini bar, satellite TV and hairdryer, as well as dedicated sun loungers at the beach. 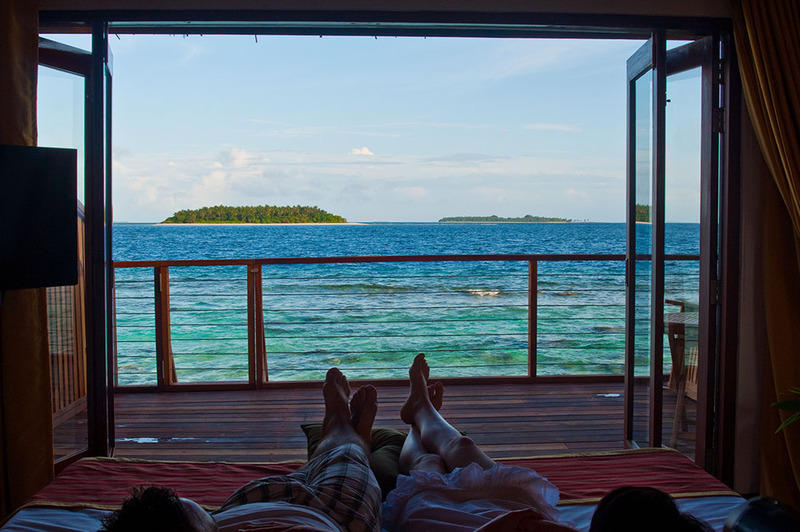 The 38m2 Reethi Villas have partially open air bathrooms and their own private terraces with deck chairs. Deluxe Villas are 47m2 and have partially open air bathrooms with bath tub and rain shower, a sitting area, tea and coffee making facilities and terrace with ocean view. 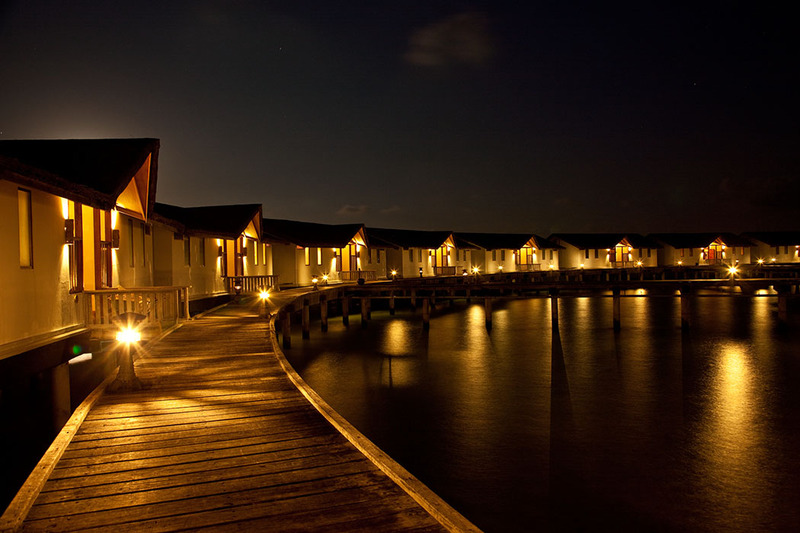 Water Villas are slightly larger and have similar amenities but with direct access to the lagoon. 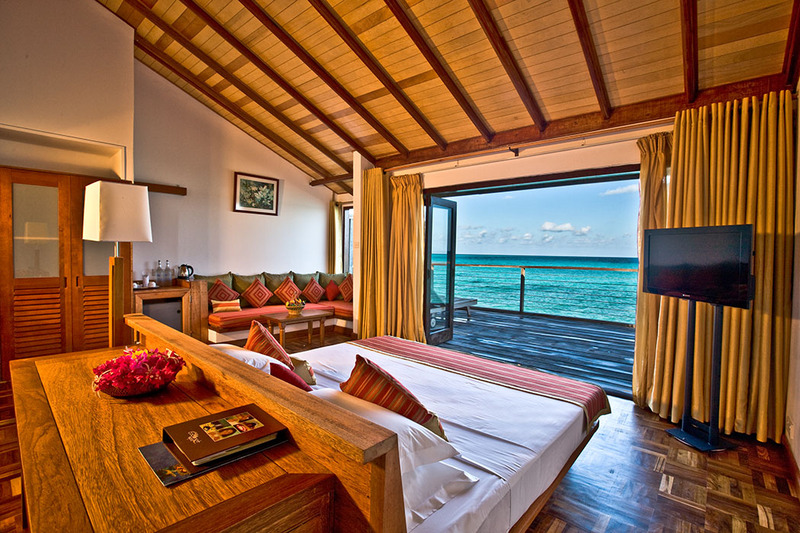 Room Tips – Water Villas are beautiful, but many guests prefer the idea of being closer to the beach and activities. Of the beach villas, those on the west side are slightly quieter and have sunset views. 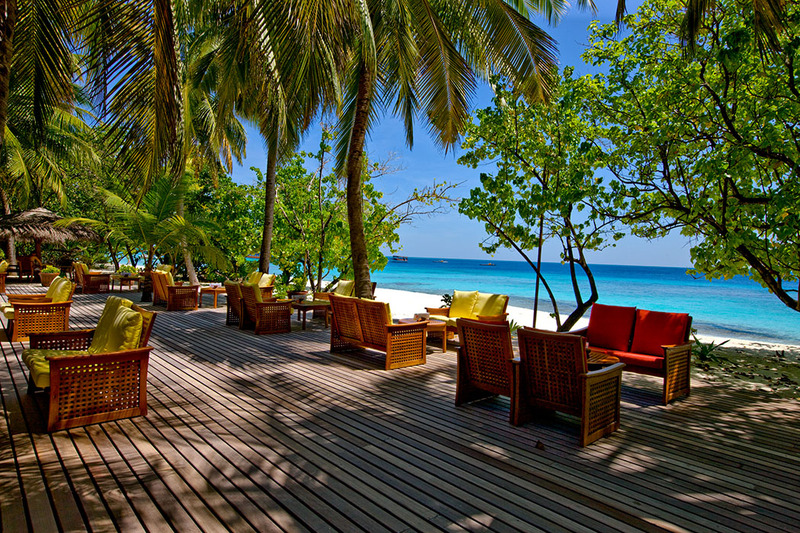 From the Rehendi buffet restaurant offering breakfast, lunch and dinner – and a different theme each night of the week – to the elegant Saima Garden with its mix of Maldivian and international cuisine, there is something for everyone when it comes to dining at Reethi Beach Resort. 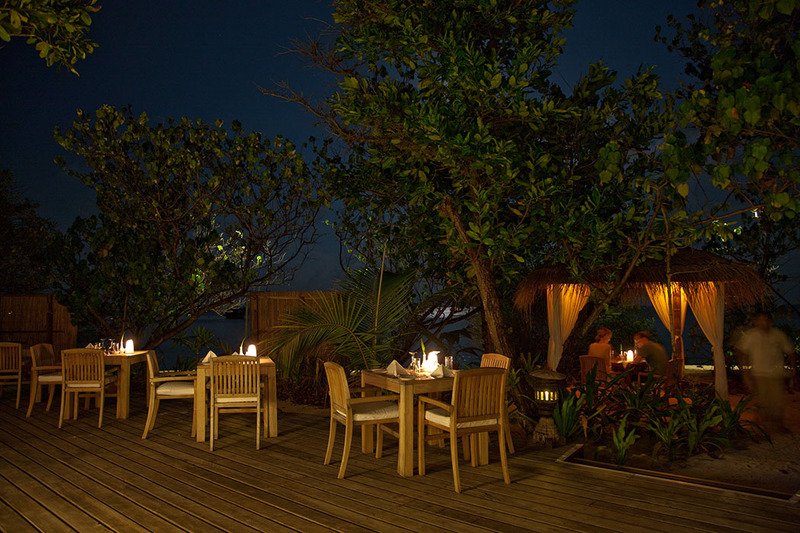 The dress code is relaxed and informal, and the settings truly spectacular, with wonderful ocean or garden views. 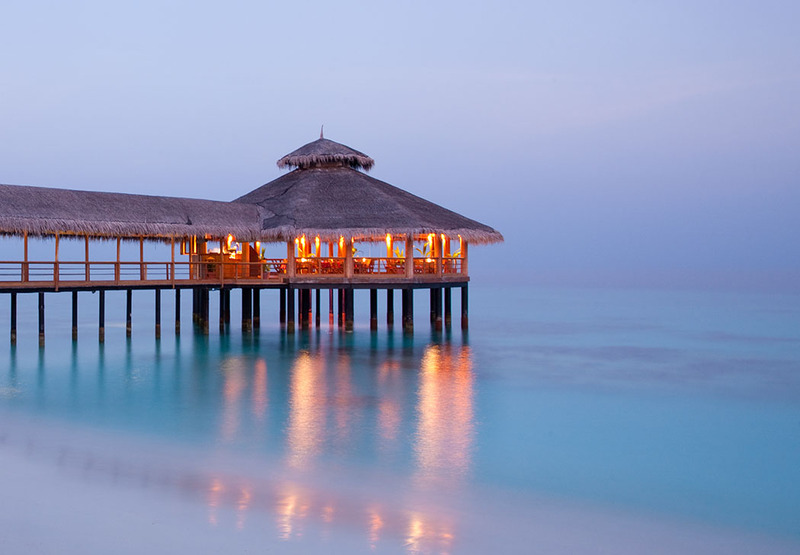 The Reethi Grill offers the opportunity to enjoy “live” cooking as well as fusion cuisine, with both a tandoori and a wood-fired pizza oven in use. Alifaan is great for casual snacks during the daytime, while beach bars offer a range of juices, cocktails, ice cream and more. 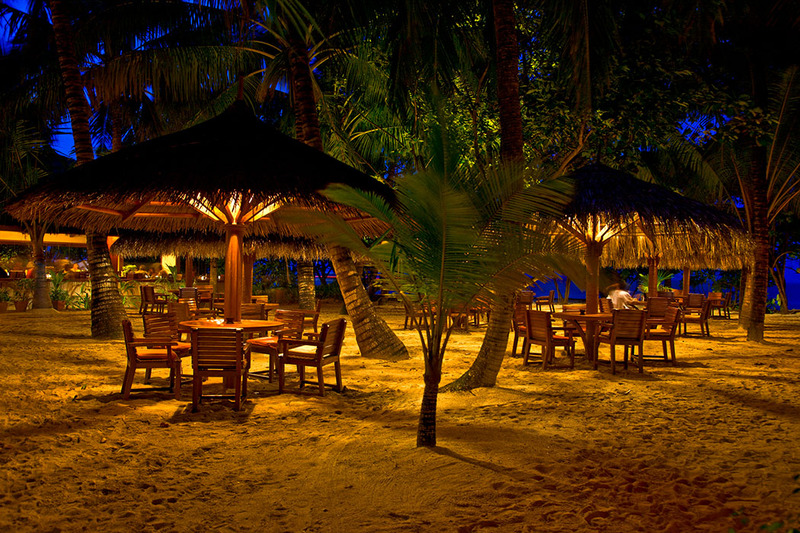 For a truly special experience, you can also arrange to have dinner in private on the beach or even on a nearby uninhabited island – guaranteed to be an experience you’ll never forget! 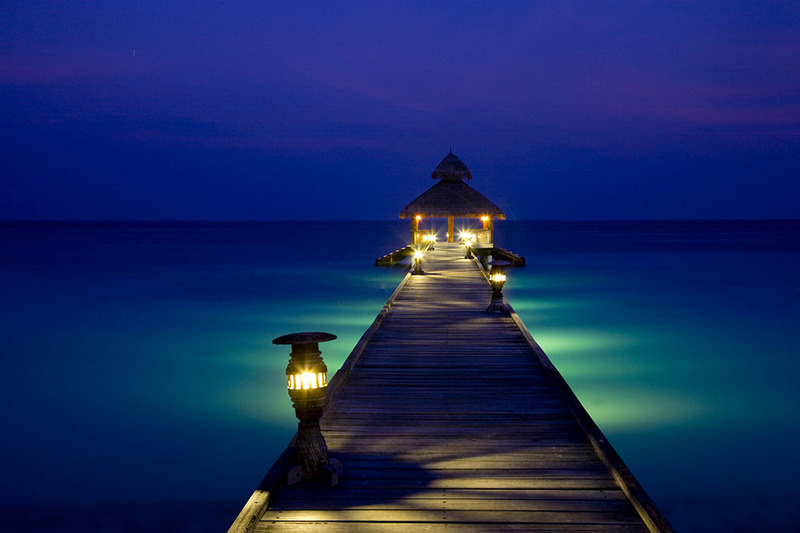 As well as the swimming pool and magnificent beach, Reethi Beach Resort has a spa offering Balinese massage, facials, body treatments and more, with both individual and couples treatment rooms available. 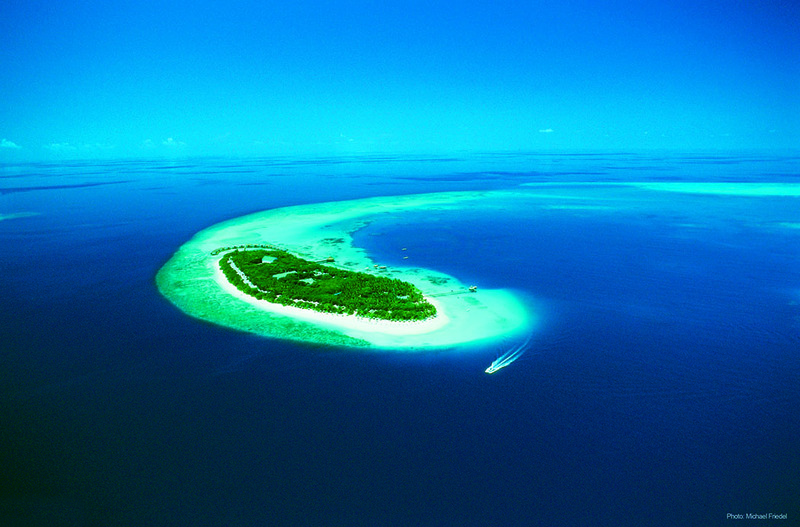 Diving is one of the main draws of the Maldives, and there is a S.C.U.B.A./SSI/PADI 5-star centre on the island, with a full programme of dive courses and excursions to take advantage of, including trips to around 30 different reef sites, day and night dives and snorkelling. In addition to this, you can try windsurfing, catamaran sailing or try your hand at sailing a traditional Maldivian Dhoni, or take an excursion to neighbouring islands to see more of the local culture and traditions of Baa Atoll. 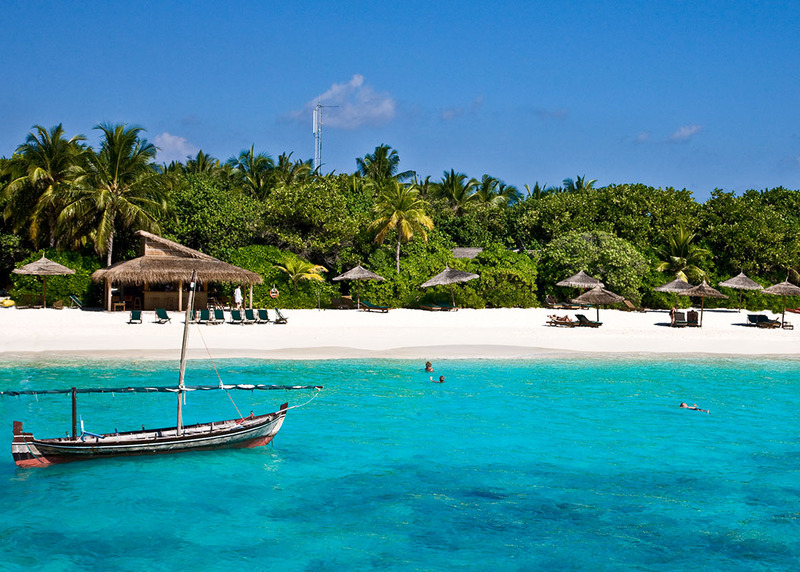 Reethi Beach Resort is the perfect paradise island retreat! 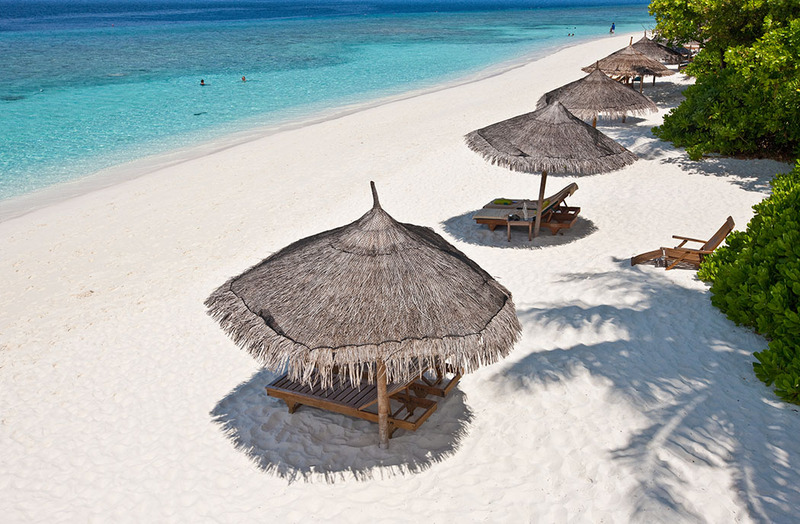 Reethi Beach Resort In The Maldives features in my pick of the top 5 best luxury resorts in the Maldives. 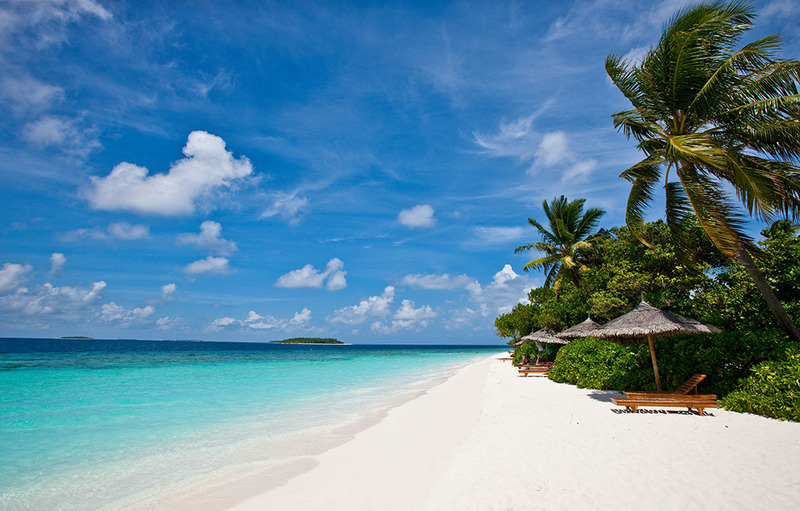 Read more about the best beaches and luxury hotels around the world.